I got some good news on a dismal Sunday evening. Who doesn’t like good news? Especially on a dismal Sunday evening. 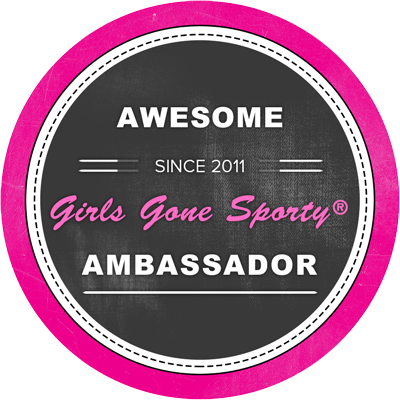 I am now a Girls Gone Sporty Ambassador! The bad news is I have to send the organization a photo of myself, either a large head shot, or me being active somehow. Why is the photo requirement bad news you may be wondering? I do not like myself in photos. I am much more comfortable behind the camera. I am one of those folks who hides behind a pillow the minute I notice someone is clicking away at the camera, looking for photo ops at a gathering. I am the one with spinach stuck in their teeth or the one who blinks mid photo. I am the one who tries to hide in the washroom on staff photo day at school. I just don’t like being the subject in photos. Photos are especially hard for me if I know I have to be all posey-posey. I hate posing, and prefer natural, unexpected shots. Now, as a blogger, it is the norm to take selfies to add in your posts at times. I considered using a selfie, but I don’t have many on my blog. I have an Instagram account, but all my pictures are of food. I dislike being in front of the camera as it is, and now I have to be behind and in front of the camera at the same time! Geez, maybe I’m just too old for this kind of trend. Usually when I include photos of myself in my blog, Andy is the photographer and because I am posing, I typically do not like the end result. However, I post them anyway to add a little personal touch to the post. I have nothing at all against selfies, but there are different types of “selfie people.” The other day my niece posted on her FB page an article that more or less stated that people who take selfies are self-centered, narcissists with poor self-esteem and basically have no soul. The selfie-taker is seeking validation and “ohhhs and ahhhhs” and a zillion “likes” from others following them on social media, the article went on to say. A little harsh? I’d say so. I know plenty of people who take selfies who are loving, compassionate individuals without a narcissistic bone in their bodies. I think to go into further detail, we must examine the types of selfie-takers in this culture craze. 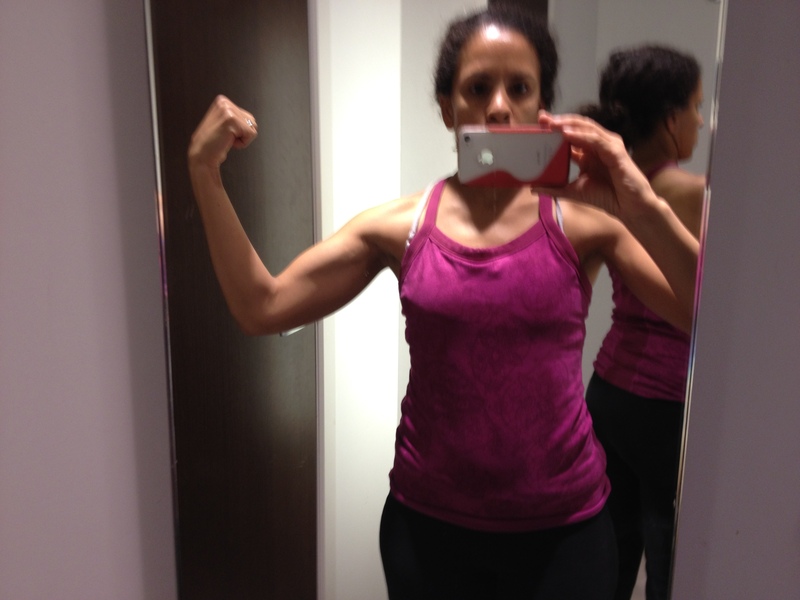 The “look at my new muscle” selfie: This selfie-taker is usually found in the gym locker room, in their Athletica or Lulu fitness attire, posing and flexing with a great big smile on their faces. Guilty! (Minus the Lulu attire.) I like this kind of selfie because I myself find it inspiring, and ain’t nothing wrong with showing a little progress! This kind of selfie is considered necessary for a healthy living blog to showcase transformation. If I had new muscles bulging all the time, I would definitely have to get a selfie in there from time to time. The “look at my new haircut, glasses, outfit, manicure, eyes (post laser surgery), tattoo” selfie: Again, I think it is perfectly fine to showcase something you are excited about and proud of. I enjoy seeing all the new transformations that selfies bring about. I also like to “like” if I see something I like. The “you take too many damn selfies, selfie-taker”: Okay peeps. We don’t need to see your face every single minute, as gorgeous as it is. Maybe one or two times a day…tops! This person takes shots in their bed at 6 am by steaming sunlight with hash tags galore #morningface #justwokeup #messyhairdon’tcare and on and on. Then they will take pictures of themselves lying in bed at night (usually with seductive bedroom eyes) with more hash tags galore #nightynight #sosleepy #timetosnooze and on and on. This selfie-taker will also take a lot of random shots during the day with their mugs in Starbucks, Tim Horton’s, an outdoor shot with a panoramic view behind their mug, with their OFTD (outfit of the day) and on and on. This type of selfie-taker may be teetering on the verge what the article was stating. Too much of anything would be considered over the top. 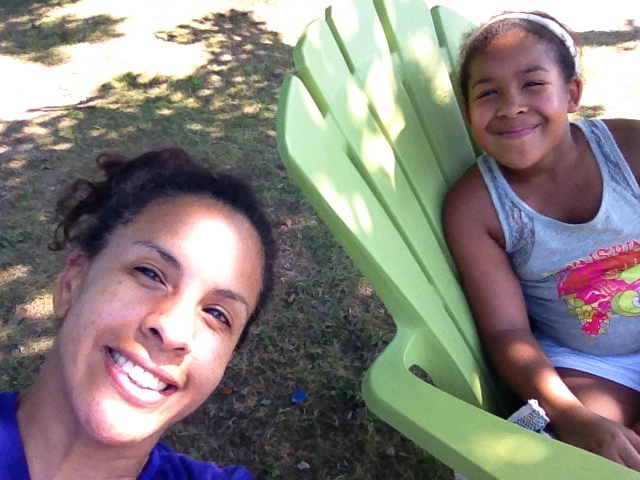 The “older selfie-taker:” I believe that selfies should not discriminate. There should be no ageism involved. From teens, to young adults, the middle-aged, and granny aged, selfies should be for any and everyone. However, I do think that if say, someone my age is constantly taking selfies, something ain’t right. Your 42-year old friends should see your outfit when you meet up for cocktails, not constantly on FB or Instagram. Why, why did you do it Geraldo Rivera? Oh and Barack, the Mrs. didn’t look too happy at your selfie-posing self. New muscle? Take a selfie! Zip-lining after glow? Take a selfie! 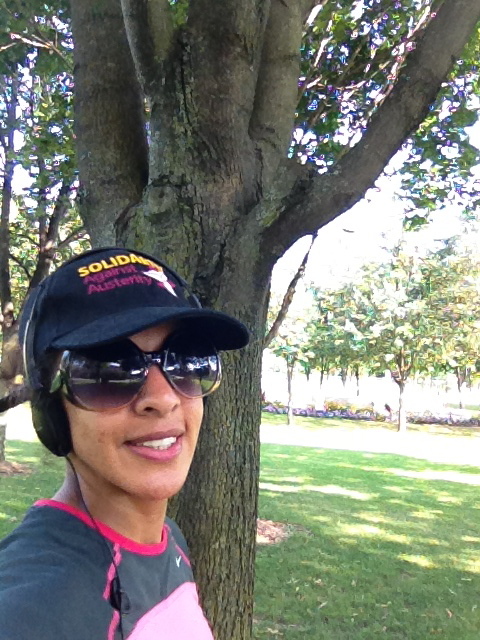 Feeling rejuvenated after a park workout? Take a selfie! So, to sum it up, I think I will just have to ask Andy or a friend to take a photo of me for this exciting new endeavor. No posing please. Get a shot when I least expect it. And please tell me if I have spinach in my teeth. What say you regarding selfies? You are gorgeous and I think you should take more selfies so I can see your pretty face! Ohhhh. Thanks. You’re too sweet. You mean to tell me you don’t like my photography skills? Congrats on becoming a GGS Ambassador! Awesome. I agree with you 100% about selfies. I really don’t love taking selfies, but I guess it’s the life of a blogger at times. hee hee. Your pictures are beautiful, btw! Thanks! I’m excited about it. I know what you mean about selfies my dear. But as you said, it’s the times of a blogger and social media. People want to see you doing your thing! Btw Chelsea and Melanie. You ladies take beautiful selfies!! Congrats GGS Ambassador! I love your zip-line pic because you look happiest in it. It’s totally normal to want to have a good picture representing yourself. Many moons ago, when I was an actress (before the digital age,) we had to take a headshot to each audition. The best advice I got about headshots is that the picture should look like you on a good day. Pick the picture that has good lighting, where the focus is sharp, and the smile (if you choose to smile) goes to your eyes. You’re beautiful. Show it! Thanks so much, Lisa. I was very happy on that zip lining excursion. I’m glad it shows. Those are excellent tips. I need all the tips I can get. Congrats! 🙂 At least you sent a pic… I didn’t up till now, but I am about to get one this weekend. I am usually the photographer in my family, so I rarely appear in pictures. Thank-you! It was very difficult, but I found one that looked somewhat OK. LOL. Yes, I love taking pictures too.